New color... 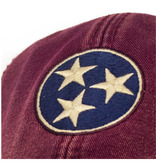 The Volunteer State Tri-Star cap! Designed by our staff in New Bern, NC. Our proprietary Salt-washed™ treatment creates a weathered, worn, vintage look. 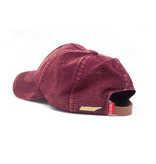 Hat is adjustable with a leather strap in back. The bill has a natural bend but can easily be adjusted for a flatter look or an extreme bend. The tri-star is embroidered on the front of the hat and a embroidered Tennessee state icon is located on the back of the hat. 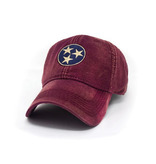 This hat fits both men and women. Tennessee Flag Tri-Star Hat, Vintage Brick Red is one of our original designs and it one of our best selling hats. 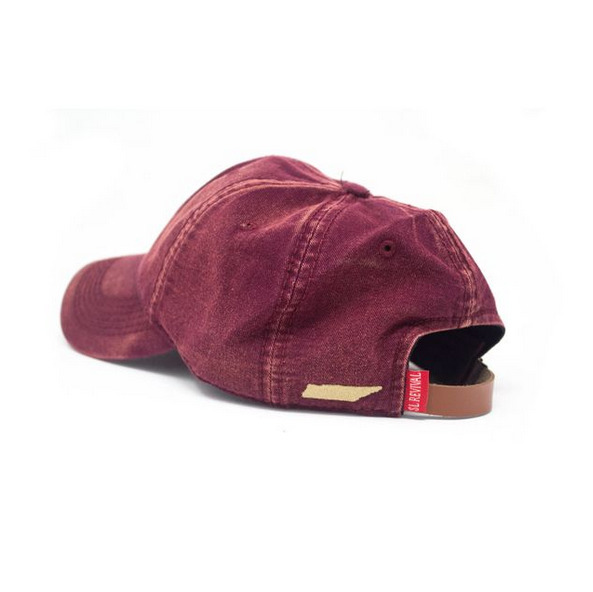 The proprietary design is a medium to low profile fit and and will wear comfortably up to a size 7-7/8". Only at S.L. Revival Co.